As we age, the level of collagen reduces and skin becomes weaker. As a result, the underlying structure of the skin suffers a lot. That is the time when laser skin resurfacing must be considered. From scars to wrinkles to skin sagging, laser skin rejuvenation can fix a variety of skin issues. This blog post discusses the cost, benefits, and side effects of a typical skin resurfacing treatment. Continue reading to learn more. A typical Skin Resurfacing procedure is recommended to get rid of acne scars, wrinkles, and fine lines. Different types of laser machines (ablative and non-ablative) are used to perform the laser skin rejuvenation. The laser light creates thermal micro-injuries in the treatment site thereby triggering the skin’s natural healing process. As a result, more collagen produces to heal the minor damage and problems such as scars and wrinkles. The main purpose and aim of this technique are to rejuvenate the skin by making it plumper and younger by building the required amount of collagen. The treatment is suitable for most of the people and the people with different skin types and tones can take it safely. The laser skin rejuvenation is a wonderful technique that enhances the appearance of skin in a decent manner. One can expect significant improvements from it because the success rate for this technique is quite high. The skin resurfacing cost one has to pay for this treatment varies from person to person. In other words, the scope of treatment is identified after knowing the skin problem and desired goals. Geographic Location: The location of the clinic matters. Type of Laser Utilized: The rate may be different for ablated and non-ablated lasers. Treatment Goals or Needs: The cost is calculated after knowing the treatment goals. Expertise of the Professional: The rate is high for veteran treatment providers. Number of Sessions Required: Two or more session might be required. If you have a health insurance plan, you should talk to your insurance provider. As laser skin rejuvenation is a cosmetic procedure, most of the insurance companies do not cover it. 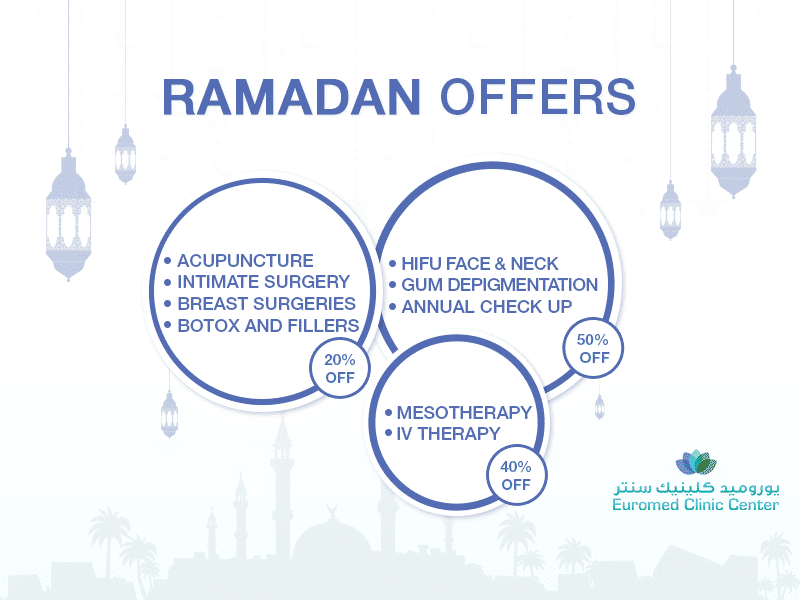 The Euromed Clinic Dubai offers laser skin rejuvenation at a reasonable cost. Please contact us now to know our pricing structure. All treatments have side effects but this non-surgical and non-invasive technique is much better than other options. However, there are minor and temporary side effects of skin resurfacing. If you want to have this treatment, you might be interested in knowing more details. Why not consult one of our specialists directly and know the answer to all your questions. For a better understanding of your problem and available solutions, please book an appointment by calling us or filling our short online form. Our chatbox allows you to start a quick chat with us.